If you are anywhere near the Phoenix metropolitan area on Tuesday, October 11, you will not want to miss a presentation by Dr. Michael T. Murray, of Dr. Murray Natural Living, Inc., at the Westin Kierland Resort and Spa at 6pm. Dr. Murray is a leading expert in the field of naturopathic medicine. 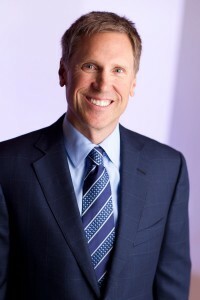 According to the bio on his website, Dr. Murray has: “published over 30 books on health-related topics, and his research into the health benefits of proper nutrition is the foundation for a best-selling line of vitamins and supplements at Natural Factors, where he is Director of Product Development. He is a graduate, faculty member, and serves on the Board of Regents of Bastyr University in Seattle, Washington. In his presentation, Dr. Murray will give insight into cancer prevention techniques and how to heal chronic diseases through naturopathic medicine and a healthy diet. The session is free and will also be followed with a question and answer session. This is a wonderful event that you will not want to miss. Dr. Murray speaks all over the world on these very topics and we are looking forward to having him in our own backyard. If you are able to make it, please RSVP to Steve.Heller@Westin.com – space is limited for the event. I love when you get to hear these folks in person. They have so much to share. Wish I was there. Take notes for me please. Hi Debi! I wish you could be there too! 😉 It will be a good talk. Maybe I will do a post summary about it this week! Sure wish I lived closer because I would be there for sure. I can’t get enough of topics like this. If only more people in the world felt this way, we would be a healthier, happier nation. Looking forward to your insight after the conference. Such a tease! I wish I was even a little closer! Oh I wish! I’d love to see some doctors like this speak.